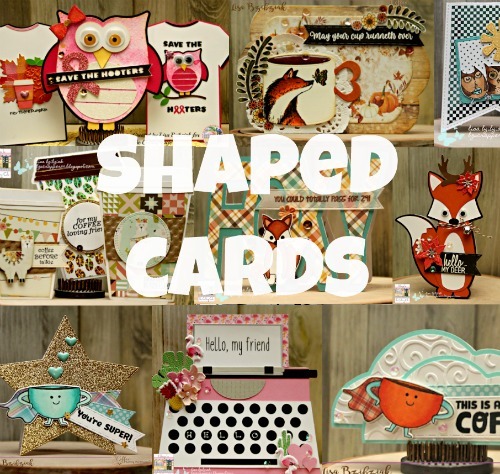 Life of a BZscrapper: Three Amigos Blog Hop Challenge #22 - Shaped Cards! 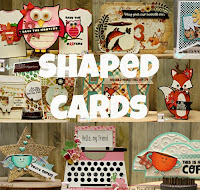 Three Amigos Blog Hop Challenge #22 - Shaped Cards! You may remember my recent post using the Ugly Sweater cutting file from The Cutting Cafe! I had cut a couple extra cards at that time and decided to use the file for something other than Christmas sweaters. And I had these Janes Doodles images all colored up to use during the Fall/Winter Coffee Lovers Hop and ran out of time (thanks job!) 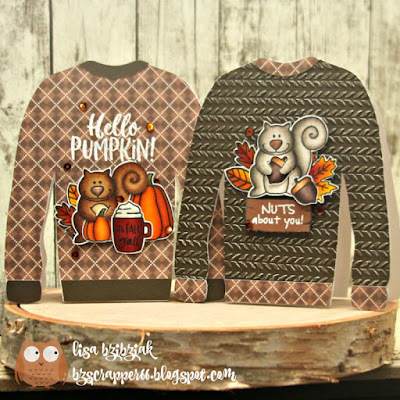 so I decided Fall Sweaters would be awesome! After they were all cut out, I layered on my pieces and swapped the cuffs, neck and waste bands out for a little contrast. 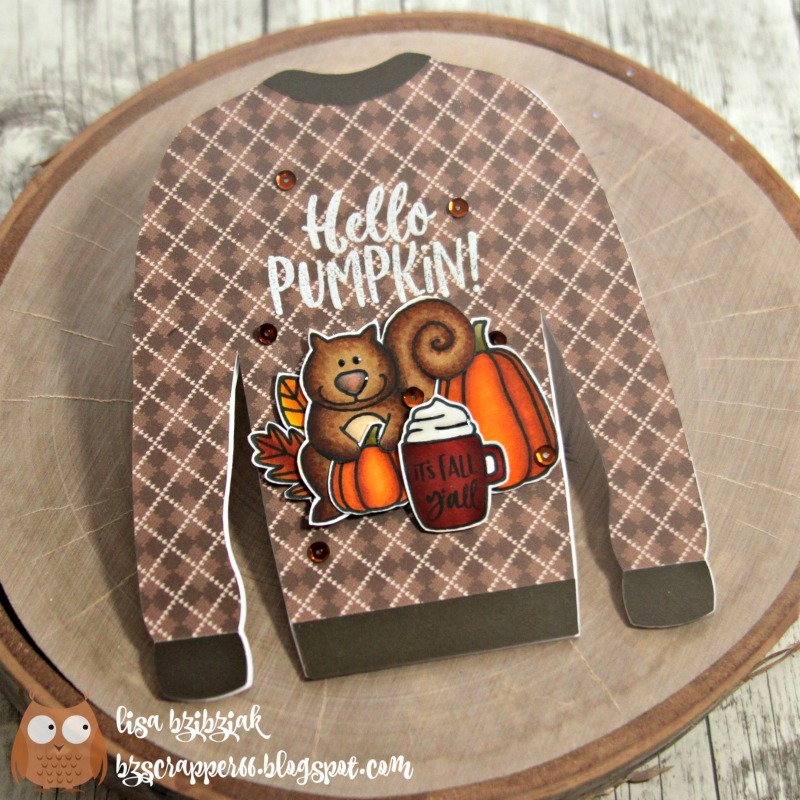 I used the Taylored Expressions Cable Knit embossing folder to emboss the plain cardstock for some sweater texture. Love that folder!! I've used it so much during the chilly season. Then I chose the images and sentiments I would use from the Hello Fall Sentiment Set, Nuts About You, and Pumpkin Spice sets that I had previously colored, cut them out and layered them onto my sweaters. Aren't those cutie pie squirrels so cuuute!?! Speaking of pie... I've still got lots more images from these sets so you may be seeing some more soon...lol! That's it for me today! Be sure you head on over to Donna's and Susan's places to see what they've created for you today and then head on over to Three Amigos to play along! We can't wait to see what you create! I love these cards! Your colored images look amazing, as usual! Ohhhhhhhhh I love love love these! 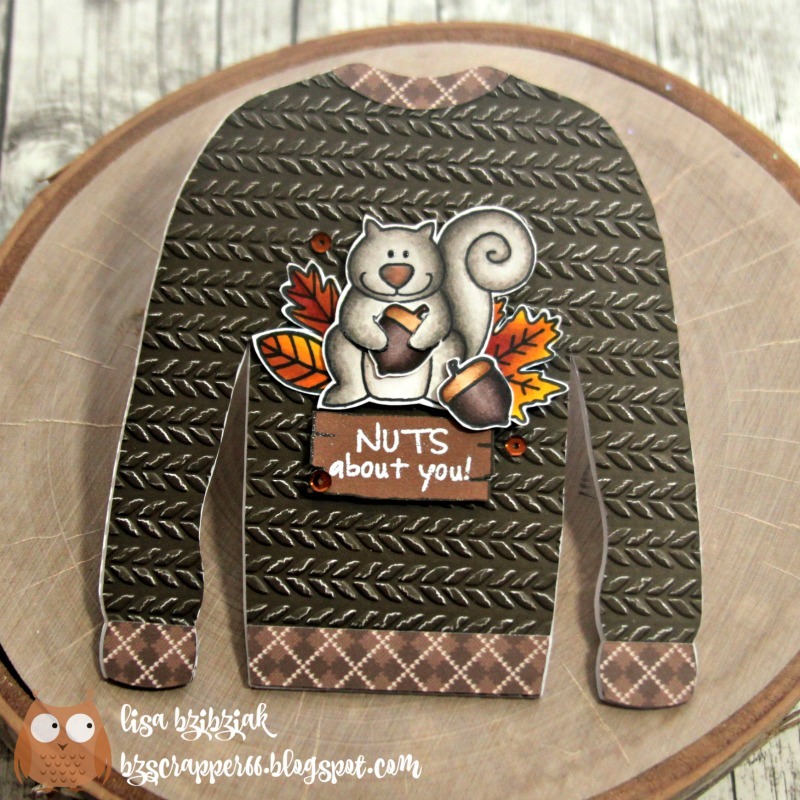 LOVING the sweater shape and those squirrels!!!! 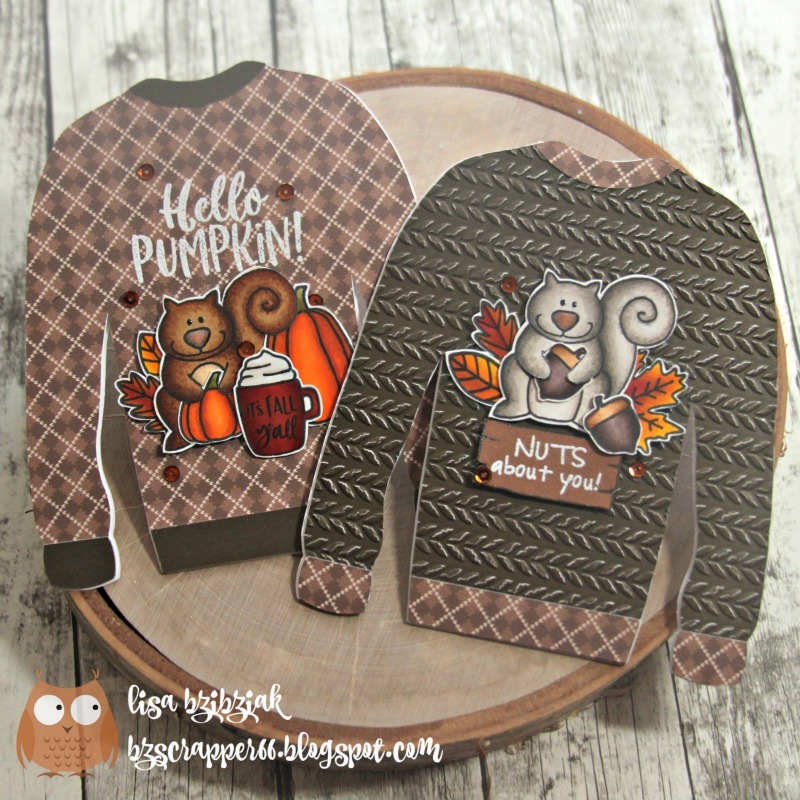 Those sweater cards are so cute and well done. I love them. Fun shaped card, Lisa. Those images are so cute too! 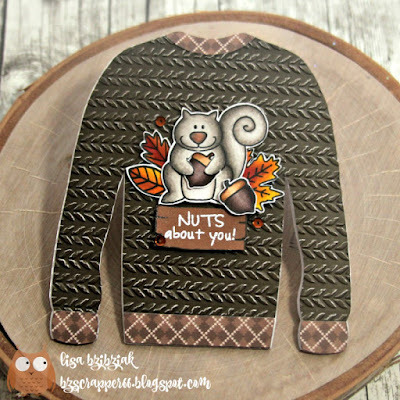 Those sweaters are so cuddly cute and with the squirrels make a fantastic combination!